Before filling out your TED Fellowship application, please review these tips. They're designed to help you submit your best application possible. Applications are open for over a month, but please don't wait until the last day to submit. The deadline is at 11:59pm UTC on the day applications are due. We cannot accept late applications. Quality over quantity. We're looking for as much information about you as possible, but we intentionally give you limited space. This is because we want you to zero in on what makes your work and background truly remarkable. Please use clear, concise language and be specific in describing your work and achievements. Also be mindful of our character limits, which include spaces. 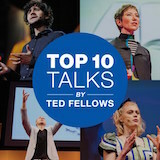 The TED Fellows program is not an academic fellowship. Your class rank and GPA hold little weight. We want to see you in your many dimensions -- what you've achieved, what you're currently working on and what you want to build in the future. A formal or traditional education is not necessary if you have done something remarkable. Tell us what makes you exceptional. We’re choosing from a very talented pool of applicants, so we encourage you to clearly articulate your achievements. Share all of your most impressive projects -- from new inventions and innovations to groundbreaking research or advancements in human rights. If you are working as part of a group, it is important that you delineate your specific contributions to the larger project. Links to your website, portfolio or best press help us get to know you better. Even consider creating a website or updating an existing one with your most high-impact projects so that we can get a full understanding of your work. Please make sure your links are all active. There is no way to save an in-progress application, so we recommend you compose your answers offline. We cannot be responsible for text that gets lost in the application process. Before you apply, please read the Fellows ProgramFAQ to find answers to any questions you may have. Lastly, if you have any further questions or technical trouble, please contact the TED Fellows team by emailing fellows@ted.com.